Arnold Martinez of Tweak Studio put on one of the poshest setups at the NYAV show. Burmester paired up with Walker Audio? It brought tears to my eyes. Okay, maybe not, but I was suitably impressed. No, really. 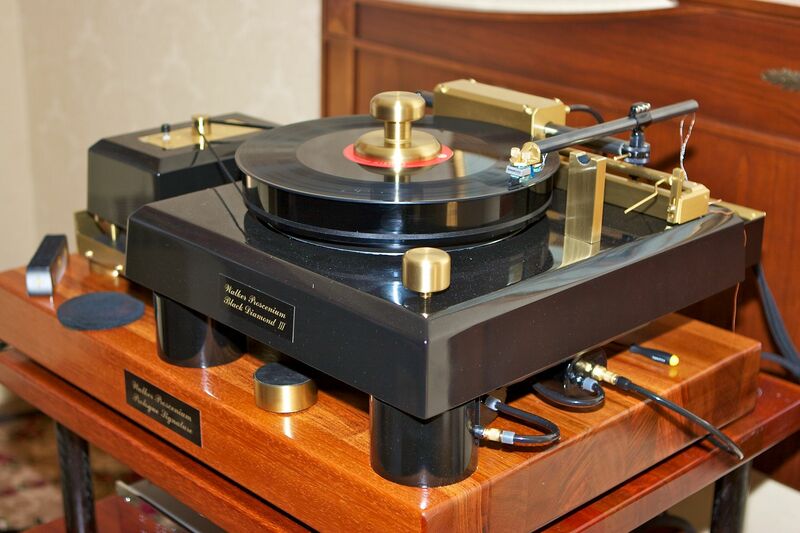 This is an audiophile dreamland, with gear that you probably will never be able to afford, but still you can touch, listen to, talk about and wish for it. And I do. I call this level of gear "aspirational" -- that is, when the stars align, I know where that call goes to. 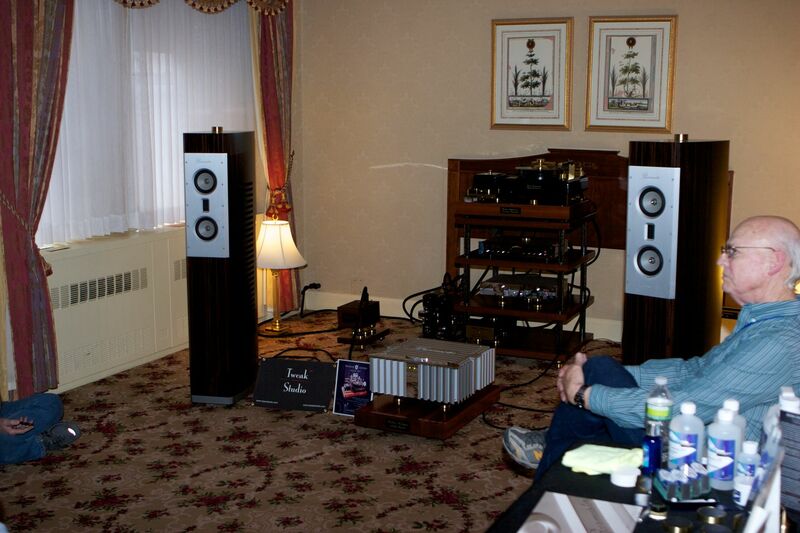 In this room, audiophiles swooned. I'm not kidding. There was a reverence to the crowd that (continuously) filled the seats in this room that's usually reserved for, well, something else, and with the general pissy mood and attitude of a NYC crowd, seeing them all stunned into silence was pretty surprising. Pleasantly so. Scoring a seat in this room required ejecting someone, and yes, I did just that. And was immediately stunned into silence. Too many have told me that you cannot find good sound at an audio show. Room acoustics, poor setup, power gremlins, whatever -- any or all of these have pretty much guaranteed that the audio press pretty much writes off the sound quality at a show as a matter of course. I've said before, and I'll say it again here, this is a mistake. You can find good sound, and I'm the first to tell you that, occasionally, you can find better than that. I found that here, for example, in the cozy, dimly lit confines of a largish room at the Waldorf=Astoria. Great sound. At great price, true, but still. If you want to know what vinyl can do, and why the old-guard audiophiles are dismissive of digital, this was an excellent stop to make. Starting with the speakers, the $55k Burmester B-80 MK2 is good for 30Hz-24kHz, has a 4ohm nominal impedance and a 92dB sensitivity. Big, imposing and that MTM array set in the metal faceplate is hard to mistake. 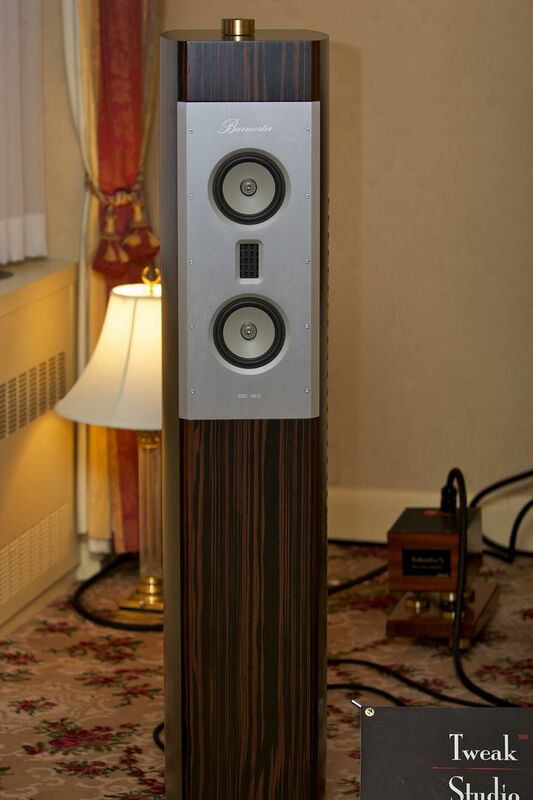 Squatting in the middle of the room was $30k Burmester 911MK3 Power Amp, also called "the watt giant" -- which is good for a very healthy 350wpc, the first 30 of which are fully Class-A. From the website, the 911 "is built fully balanced and DC-coupled without any distorting capacitors in the signal-path. The new MK3 version distinguishes itself from its predecessor mainly by its completely re-designed output stages, widely in class-A and new silver internal cabling." There is only one thing more frustrating than "piano black" when it comes to photography, and that's "mirrored". Guess what? That's Burmester's "thing". [sigh]. Anyway, be aware that this gear looks way better in person, okay? 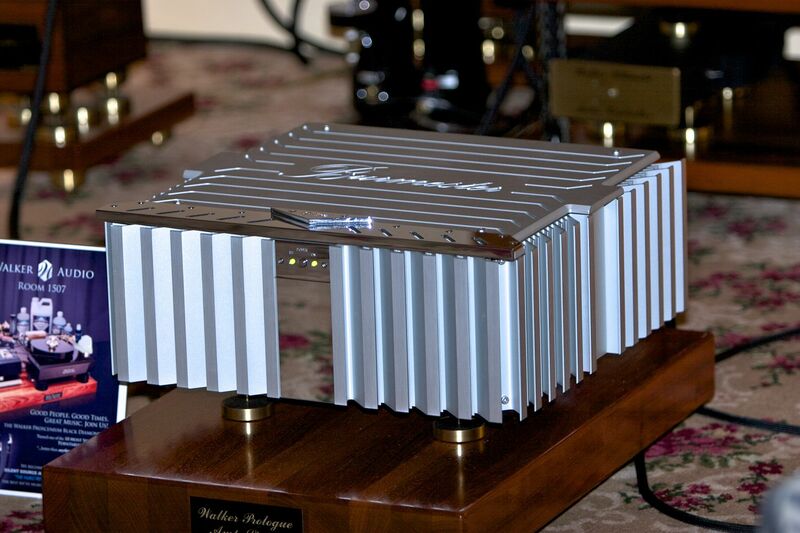 So, here' the $29k Burmester 088 pre amp, with its brilliantly polished faceplate. For an individual configuration, the 088 provides a module slot for an optional Phono MC3 or MM2 module, or D/A converter. When no optional module is ordered, the 088 is equipped with a Line module as standard, and therefore has an additional unbalanced high level input. 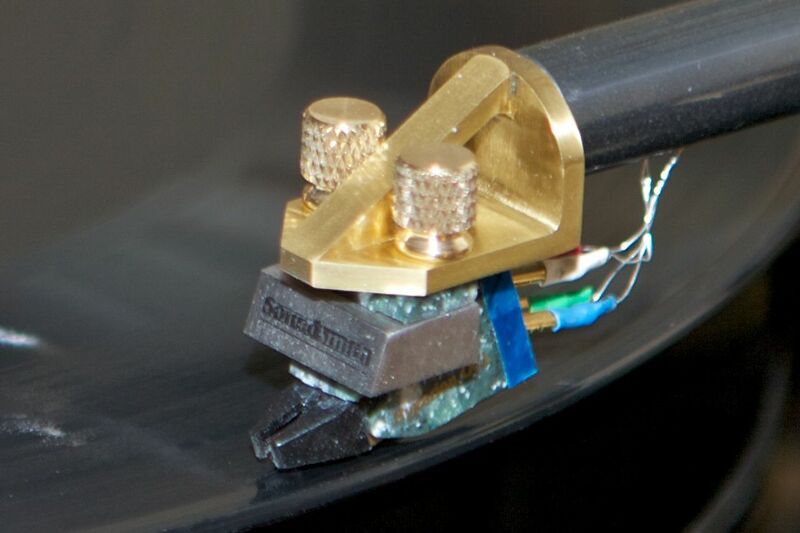 The Proscenium Black Diamond III Turntable comes complete with arm, motor, motor controller, record clamp, air supply, custom mirror alignment protractor for cartridge setup, precision digital stylus gauge that reads 0 to 5.000 grams, strobe, spare parts, all necessary tubing and a step-by-step manual with diagrams and helpful information for getting the best results with the turntable. Interesting fact: the Proscenium Black Diamond (PBD) III weighs 525lbs, shipped. Yeah. HOLY COW. Interested in setting this up on your manly rack? Well, make sure that 24"x18" top shelf can support 245lbs of turntable awesomeness. 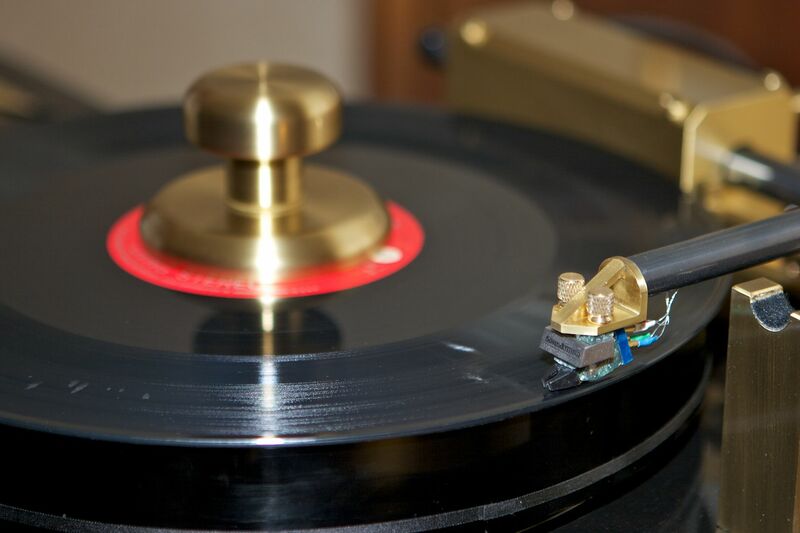 A $7,000 Soundsmith Hyperion cartridge was mounted on the air-bearing arm. 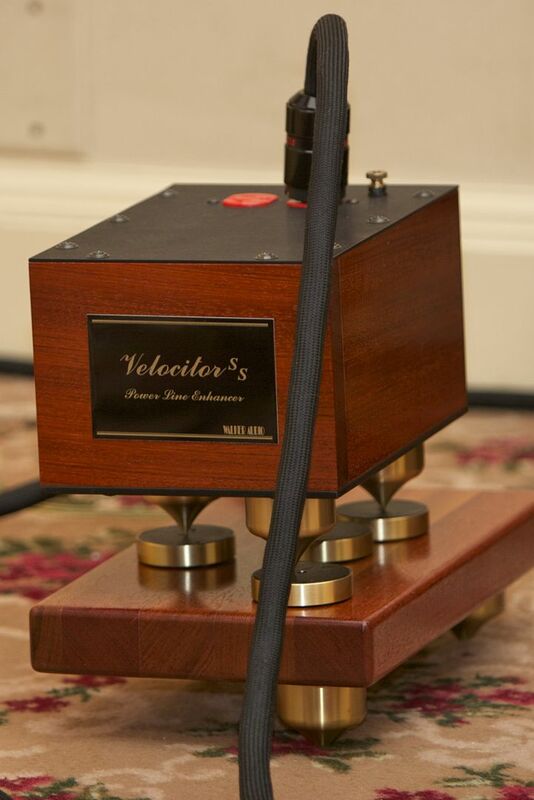 Sitting off to the side was a two-outlet $3,250 Walker Audio Velociter SS Power Line Enhancer with a $500 matching stand and some Valid Points ($395-$575) for isolation. All cabling in the suite was from Silent Source. Tweak Studio had another Burmester room. Or rather, a ballroom. On Saturday night, Arnold treated us all to an evening of entertainment in the Starlight Terrace at the Waldorf=Astoria, called “An Evening of Euphoria”. This is where I got handed a monster glass of bourbon. Hair of the dog? Most assuredly, and yes, it smoothed out the rest of my evening quite nicely, thank you. The gear in this room was pretty sick — Arnold tells me the total price tag was north of half a mil. Nice! He was kind enough to send me a list of what you all might have missed. Oh, and don’t worry — if you missed out this year, there’s always next! Tweak Studio will be back at the 2013 NYAV, which will also be at the Waldorf=Astoria, with another evening get together. Stay tuned for more. NICE going Arnold! I’m sorry I missed it! Will be psyched to shake it on the dancefloor to Burmester next year in my hometown!! I’ve LOVED their gear ever since I got to play with it at Hp’s place. That stuff sue spoils you!!!! Thank you Mr. Anderson for noticing the 911MK3 rating. Yes it is 350 Watts per channel for the Stereo model. Yes — thanks! I’ve updated the posting …. 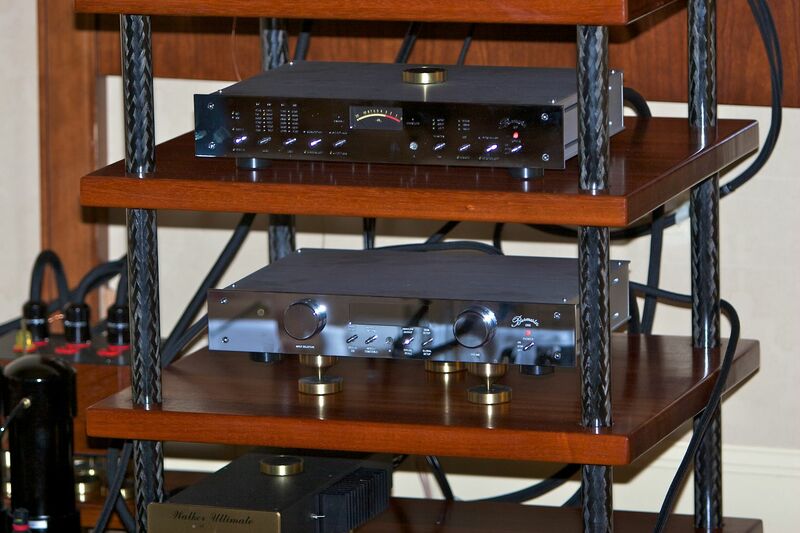 I think The 911 MK3 is the best ss amp under $75K. But the 750wpc is for the monos, not 1 stereo amp.